When you're exploiting software (legally hopefully ;) there are some common problems you might encounter. In this post I'm going to focus on three specific problems. I'll assume you're already familiar with basic buffer overflows and have tried to write one before. Oh and even if you were successful in writing the exploit, maybe you encountered some annoyances that are addressed in this posts. Let's go! My exploit only works under gdb? A common question people ask is why their exploit works when running the target program in gdb, but why no longer works when the program is started normally. There's actually another variation of this question: people wonder why they didn't obtain elevated privileges when executing the exploit under gdb. I'll first explain the elevated privileges problem and then we'll address the original problem. This way one could directly inject shellcode without exploiting anything. So being able to debug a suid binary as a less privileged user shouldn't be possible. Yet you seem to be debugging the suid binary anyway?! Well, when launching the targeted suid program using gdb no elevated privileges will be granted to the program. You can then debug the program, though exploiting it won't result in elevated privileges (since it was not given elevated privileges). Remember that the stack grows towards lower addresses (in the illustration above it grows upwards). Both runs will have the same stack addresses. Perfect! Padding in structures, stack, etc. This is really more of a remark. 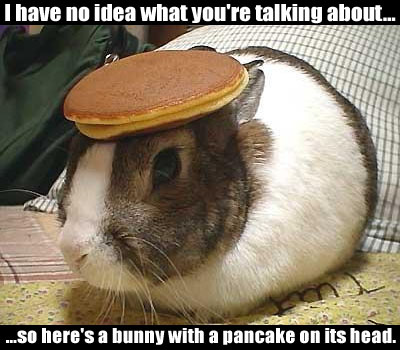 When given the source code of a program you know the general layout of structures and function stacks. 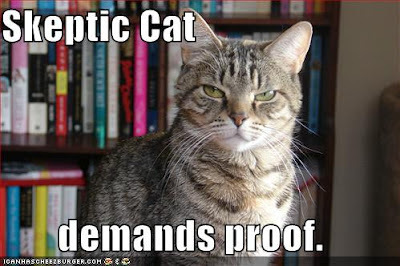 However, you cannot predict actual offsets (i.e., the precise location of fields). The reason is that most compiles will add padding. This is done so that fields are 2-byte or 4-byte aligned (or anything else that your compiler deems appropriate). The introduced padding can be seemingly random. So while you can use the source code to quickly detect vulnerabilities, you should still disassemble the compiled binary to calculate the offsets. where we assume somescript.sh starts with "#!" as usual. So let's assume that a script is being started using the execve system call. This function is implemented in the do_execve_common function in the linux kernel. Essentially it checks for errors, fills in a so-called binary structure parameter, and then calls search_binary_handler . The real work is being done in this last function, which consists of scanning a list of registered binary formats until a match is found, and then calling that handler. Scripts are detected by checking if the file starts with "#!". The handler for scripts is located in binfmt_script.c in the function load_script. In this handler you don't explicitly see something like "don't grant suid to script files". In fact you see no mention of the suid bit at all. But that's the point, suid is never granted in the script handler. On the other hand, if we look at the handler for ELF linux executable, we notice that suid is explicitly set using SET_UID and SET_GUID. The reasons scripts are not run as suid is because it's too easy to write insecure suid scripts. We see one interesting global variable in the if test: privileged_mode. Looking further into the code one learns that this flag is set when the "-p" parameter is given. So starting your suid shell using the "-p" parameter won't drop privileges! 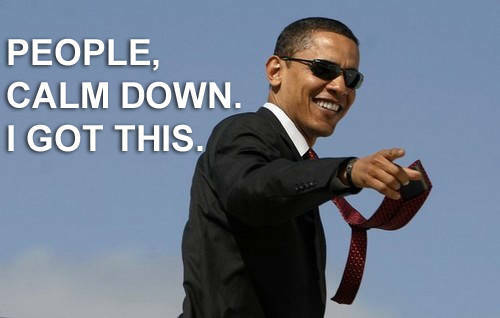 That solves our problem. To create a backdoor we copy /bin/sh and make it suid. The backdoor shell must then be started with the "-p" parameter. There, that concludes our very detailed discussion of suid scripts and suid shells! I'm actually not happy with this explanation at all. Unfortunately I don't understand the linux kernel well enough to give a really decent explanation. If you know more about this please comment! Indeed more common than you would think. Let's first give a simplified overview on how Cryptex stores the encrypted files. All files are combined and saved in a single .crx file. The content of the file always starts with "CrYpTeX9" which acts as a signature to verify it's a file created by Cryptex. The remaining content of the .crx archive is divided into sectors. Each sector is 4096 bytes long. The first sector following the "CrYpTeX9" signature contains a list of all the encrypted files in the archive and their location in the .crx file. Finally the .crx archive contains all the encrypted files. Each file starts in a new sector and large files are spread out over multiple sectors. The problem lies in how Cryptex encrypts its archive. It first derives a key from the password using a SHA1 hash and passes it to the Triple DES block cipher. So far so good. But then each sector is encrypted independently with the same key. Cryptex does this by resetting the state of the Triple DES cipher after encrypting a sector. Among other things this means that if certain sectors repeat we will also notice this repetition in the encrypted archive. We can see that both encrypted archives contain identical parts! The identical parts start at the beginning of the sector where files are saved. This allows someone to see where a file has been modified without knowing the password of the archive. Clearly the encrypted archive leaks information. 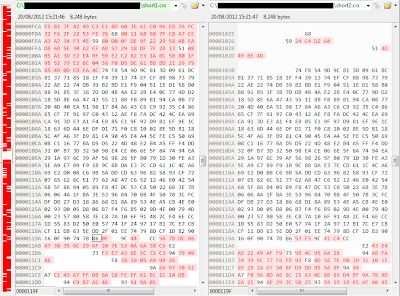 In the screenshot above we can see that the first 23 * 16 = 368 bytes are identical and the first difference is at 369 bytes from the start of the sector. For our text files each line is saved in 52 bytes (50 characters plus two bytes for the newline and carriage return). This means that the first different character is actually at position 7 * 52 + 7 = 371. Why don't these two positions match? The answer isn't too difficult: it's because 3DES is a block cipher and always encrypts blocks of 8 bytes at once. And the block containing the modified character starts at byte 369. You might still wonder why the remaining blocks are also different. After all, both files have a sequence of asterisks at the end of the file. The reason is because 3DES is used in Cipher-Block Chaining (CBC) mode . Essentially this means that previous processed blocks influence how the current block is encrypted. So once there is a difference between both files, it will influence all the blocks after it. To conclude you should never reuse a key. Unfortunately that's exactly what Cryptex is doing: it incorrectly uses a strong industry-standard encryption algorithm in a way that compromises the security of the encrypted files. A bit more than two months ago I wrote a rather large post on the lack of security in WhatsApp. The conclusion of that post was that WhatsApp is insecure but they're working on it. Personally I'd never use it to send serious/secret/sensitive messages. But not all the security vulnerabilities were explained in that post! There was one more, one that might be very severe. I also contact WhatsApp about this vulnerability and they said it would take some time to fix the issue. Considering that was more than two months ago they've had enough time to fix it. 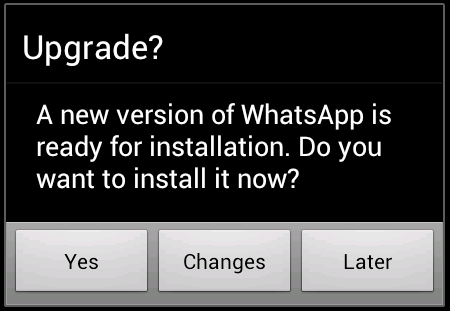 After explaining the problem we'll check if it's still present in the current version of WhatsApp. but as you'll notice opening .php files is blocked with a 403 error message. Furthermore filenames such as index.php and .htaccess are blocked. So some protection seems to be included to avoid the user from uploading malicious files. Unfortunately I can't further test their server-side security since if I did that, I would be attacking their server and breaking the law. So at first sight malicious files can't be uploaded. However only very minimal tests are possible without having permission of WhatsApp to test it in detail. But the fact is that it's not designed with security in mind. After starting my Android emulator again (also after two months) and opening WhatsApp I was greeted with the message that my current version of WhatsApp was out of date. In fact it was so old that it simply couldn't connect to the WhatsApp servers. This seemed good. Maybe they also changed the upload process and it's now all authenticated and secure. Unfortunately I got my hopes up too early - the bug wasn't fixed. The method outlined above still works and anyone can upload files. Considering this issue was reported more than two months ago I have decided to make it public in the hopes it will get fixed sooner. WhatsApp could give every uploaded file a random filename. All downloaded files should be treated with a Content Type of application/octet-stream, which is currently not being done since the .html file could displayed in the browser. And of course only authentication users should be able to upload files! As I've said before: watch you when using WhatsApp. Don't use it for any serious or important messages. Don't blindly trust incoming messages. Where <remote host> should be replaced by the server you want to test. If it's vulnerable there's a high probability you will successfully connect to the MySql instance. Can you see what's wrong with it? To give a hint, the vulnerability is in the last line of the function, where the call to memcmp is made. Before explaining the bug, first some background. When a user connects to MariaDB/MySQL database, a token (SHA1 hash over the given password and a random scramble string) is calculated and compared with the expected value [source]. So in essence the above code checks if the supplied password is correct. 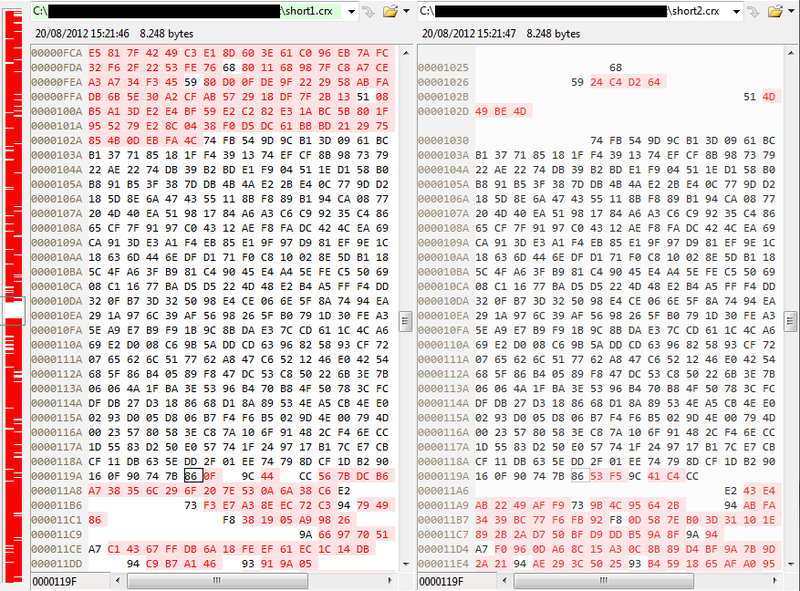 The comparison of the two hash values is done in the last line using a call to memcmp. The memcmp(s1, s2, n) function returns an integer less than, equal to, or greater than zero if the first n bytes of s1 is found, respectively, to be less than, to match, or be greater than the first n bytes of s2. The problem is that memcmp can return any integer (depending on the input value). Although most implementations of memcmp only return -1, 0, or 1 this is not required in the specification of memcmp. Now what happens when our implementation of memcmp returns a different number? Let's find out by assuming that it returned the number 0x200. Since this value is not equal to zero the two hashes are not equal, hence the passwords were also not equal. Unfortunately the integer 0x200 is being cast to a my_bool type, which in turn is typedef'ed as a char. Because a char is smaller than an integer the number has to be truncated. In practice only the last byte of 0x200 (the return value of memcmp) will survive. And this last byte is 0x00, so simply zero. We now get that even though memcmp returned a value different than zero (say 0x200) the function check_scramble does return zero! As we can see in the description of the function it should only return zero when the password is correct... which here is clearly not the case, hence the security vulnerability. The question is now when, and why, memcmp would return a number different than -1, 0 or 1. The answer lies in how memcmp compares the input buffers. To compare if two bytes are equal it subtracts them. Only when the result is zero are the two bytes equal. If not zero, one could simply return the result of the subtraction, as this would match the behaviour specified in the manual page. The range of values memcmp would then return lies between -128 and 127. But this doesn't include our example number 0x200! To speed up the comparison memcmp will subtract multiple bytes at once (when possible). Let's assume it will subtract 4 bytes at once. Then the result of memcmp will be within the range -0x80000000 and 0x7FFFFFFF. This range does include our example value of 0x200. The apparent randomness comes from the fact that the protocol uses random strings. So each time a random input is given to the memcmp function. The security vulnerability only occurs when the last byte of the integer returned by memcmp is zero. Hence the probability of the vulnerability occurring is 1/256. and putting it around the memcmp call. TEDxUHasselt is an independently organized TED event by three of my fellow students. In order to extend the local community around it, and attract passionate people, they recently organized TEDxUHasselt Salon. 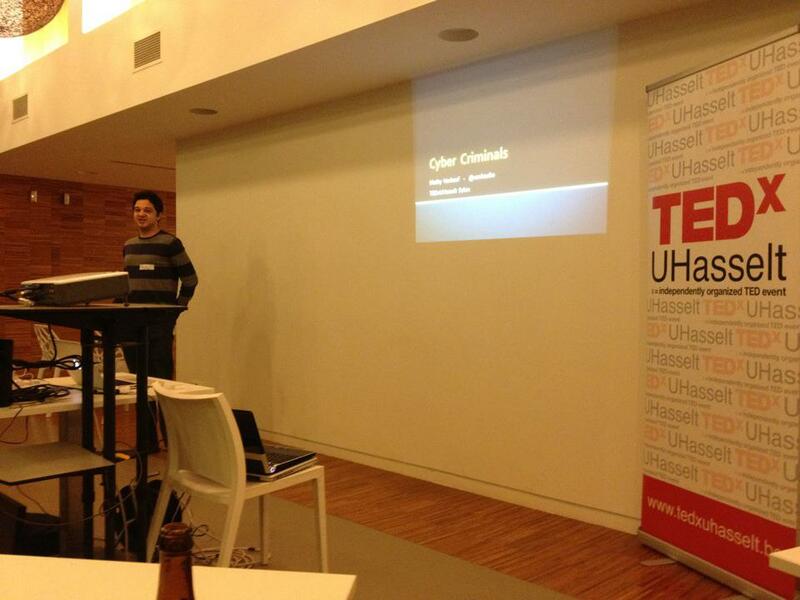 As they state: "TEDxUHasselt Salon is an informal event aimed at building a local community of passionate people". Basically anyone with an interesting idea or passion can register and give a talk of 10 minutes. I decided to give a talk as well, with as subject something related to computer security. To keep it interesting and relevant for the audience I had chosen to work out a realistic example of how a cyber criminal could attack TEDxUHasselt attendees. For the reader who's familiar with security tools it was essentially a small demo of metasploit and meterpreter, combined with a realistically forged email designed to manipulate the target into clicking a deceptive (spoofed) URL. The presentation started with a few examples of how cyber criminals are trying to steal money. Then we layout the groundwork for a fictive attack on the TEDxUHasselt attendees. Arguably the most interesting part was a video showing a demonstration of the victim reading the spoofed email and following the link, which results in the victim being hacked. Then we show everything a hacker can do with your computer, including downloading sensitive files, logging all the keys the victim presses, and even recording the microphone of the victim! The actual execution of the fictive attack has been recorded and you can see it in the youtube video below. As you'll notice it isn't hard to launch the attack and to retrieve sensitive information once you have control of the victim's computer. Note that the video immediately starts at the part that is relevant for all users, the first part of the video consists of the hacker configuring his tools to launch the attack. The presentation itself was a big success and everyone seemed to like it! People are interested in security, you just have to make it understandable and relevant for "the common man". A thank you goes out to Rutger, Niels, and Bob for organizing TEDxUHasselt Salon! Privacy is a difficult concept and there are many sides to the privacy issues we are facing in our digital age. For my master thesis I studied privacy in databases, where the goal is to find a mathematical definition of privacy. But in this post I won't focus too much on the math behind it all, instead I'll go over some interesting observations I have made during my work, and explain some of the basic concepts. To get started we'll look at some privacy fiasco's that occurred in the past. We begin with the AOL search fiasco where AOL released around 20 million search queries from 65,000 AOL users. In an attempt to protect privacy, the username of each individual has been changed to a random ID. However, different searches made by the same person still have the same ID. Shortly after the release the person with ID 441779 was identified as Thelma Arnold. By combining all the searches she made, it became possible to find out her real identity. This already shows that simply removing unique identifiers such as a person's name, address or social security number do not provide privacy, and more generally that anonymity does not imply privacy (more on this later). No real care was given to anonymizing the search results. So this is not a true example that removing identifying attributes (eg., name, address, etc.) fails to protect privacy, as no real care was given to anonymizing the dataset. This can be deduced from the observation that the person who was responsible for releasing the data was quickly fired. As we can see both datasets can be linked to each other by combining gender, ZIP code and date of birth! So even though the names were removed in the medical dataset, researchers were still able to link the data back to individuals. As a result the medical records of the governor of Massachusetts were found. The circles/letters represent people and a line is drawn between them if they are friends. However not all relationships were given to the participants. In fact, the goal of the competition was to determine whether certain given relationships, which were not present in the original social graph given to the contestants, were fake or real. Of course if we'd knew who the individuals behind all the nodes are, we could just look up if two nodes are really friends or not! So if we manage to de-anonymize the social graph given by Kaggle we can game the competition: Instead of making a machine learning algorithm to predict the answer we simply look them up. It was found out the social graph was created by crawling Flickr. So the researchers made their own crawl of Flickr and based on the structure alone created a mapping between their own crawl and the Kaggle social graph. In other words they now know which individuals correspond to the supposedly anonymous nodes, and thus they identified the individuals using only the structure of his or her social graph. It should be obvious by now: Assuring privacy is hard. We can't simply remove attributes such as name, address, social security number, etc. from a dataset. The reason is that seemingly innocent information such as gender, ZIP code, and birthdate can still be used to uniquely identify an individual. Clearly the need for a rigorous privacy definition is needed. Researchers have proposed theoretical models such a k-anonymity, but it turned out to have problems so L-diversity was suggested. I turn weakness were found in L-diversity, resulting in a new definition called T-closeness. But still there are problems even for T-closeness. So in practice assuring privacy is hard, and even finding a robust mathematical definition appears to be a challenging task. What can be done?! Before answering that question we're going to argument that the situation, at least from a theoretical point of view, is even worse than one might already think. There is in fact theoretical evidence suggesting that absolute privacy protection is impossible. This proof was heavily based on an earlier attempt at the proof. Now of course not releasing your information does provide absolute privacy. But what they have proven is that if a database is sufficiently useful there is always a piece of external information that, combined with the output of the database, violates the privacy of an individual. An example explains this best. Assume that learning the salary of an individual is considered a privacy violation. Further assume that we know the salary of Alice is 200 EUR higher than the average salary of a Belgian citizen (this is the external information). So we don't know her exact salary. Let's say we now receive access to a database containing the salary of every Belgian citizen. From this database we can calculate the average salary of a Belgian citizen, say 2500 EUR. Combining this with the external information teaches us that the salary of Alice is 2700 EUR! Et voila, the privacy of Alice has been violated. All due to gaining access to a database from which we merely learned an average of a particular value. So it seems it's very difficult (impossible) to assure that there will be no privacy violation whatsoever. What can we do? The answer is simple. We will reduce the probability of a privacy violation as much as possible. One of the promising definitions in the privacy research community is called differential privacy. It provides relative privacy prevention, meaning that the probability of a possible privacy violating occurring can be greatly reduced. Important is that when using differential privacy the dataset is not handed out to the public. Instead users can pose questions (queries) to the dataset (eg., over the internet), and answers will be given in such a way to reduce the probability of a privacy violation. In practice this is done by adding a small amount of random noise to the answer. Note that there is always a tension between accuracy of the data, and the privacy guarantees provided by the data release. The higher the privacy guarantees, the lower the accuracy. Differential privacy assures that, when you provide your personal information to the database, the answers to queries will not differ significantly. In other words handing over your information should not be visible in the calculated answers. This results in a more natural notion of privacy: When giving your information your privacy will on be very minimally reduced (remember that we consider absolute privacy protection impossible). The parameter epsilon defines how much the probabilities are allowed to vary. A small epsilon such as 0.01 means the probabilities should be almost identical (within multiplicative factor 1.01). However for a larger epsilon such as 1 the probabilities can differ by a larger amount (they must now be within multiplicative factor 2.71). The reason we use the exp(epsilon) instead of just epsilon is because manipulating formulas that use exp(epsilon) is a lot more straightforward. We can now design algorithms that answer queries while assuring differential privacy. In short we can now prove we assure a certain definition of privacy! There are still some difficulties in implementing differential privacy in practice. There first one is that it's not clear what a good value for epsilon would be. The second problem is that you cannot ask an unlimited amount of questions (queries) under differential privacy. So in practice a reliable mechanism must still be designed to ensure only a limited amount of queries are answered. Another downside is that the actual dataset is not released. For researchers being able to visually inspect the dataset and first "play around with it" can be important to gain a better understanding of it. Therefore the problem of releasing an anonymous dataset, while minimizing the probability of a privacy violation, is still an important topic. Another important observation is that anonymity does not imply privacy. Take for example k-anonymity. It states that an individual must be indistinguishable to at least k-1 other individuals. Below we give an example of a 4-anonymous database. Based on the non-sensitive attributes, which are used to identify an individual, we notice there are always at least 4 rows having the same values. Hence each individual is indistinguishable with at least 3 other individuals. If you know a person having Zip code 1303 and an age of 34 is present in the database, he or she can correspond to any of the four last rows. So the anonymity of that individual is preserved. However all four rows specify that he or she has cancer! Hence we learn our targeted individual has cancer. Anonymity is preserved while privacy was violated. Another observation made during my master thesis is that it's hard for academic researchers to obtain dataset to test their algorithms or hypothesis. Even worse is that most are forced to create their own datasets by crawling public profiles on sites such as Twitter, LiveJournal and Flickr. This means their test data only contains public profiles, creating a potentially significant bias in their datasets. Another problem is that researchers won't make these dataset publically available, probably out of fear of getting sued. And that is not an irrational fear, demonstrated by the fact that Pete Warden was sued by facebook for crawling publicly available data. Because these datasets are hard to obtain, peer review becomes difficult. If another, independent, researcher doesn't have access to the data he or she will have a very hard time trying to reproduce experiments and results. But more interestingly is that there are public dataset available! It's just that no one seems to dare to use them. As mentioned the AOL dataset was publicly released, but researchers are hesitant to use it. Another dataset, called the Facebook100 data, is also a very interesting case. Researchers were given social graphs of 100 American institutions in anonymized form (private attributes such as name, address, etc. were removed). 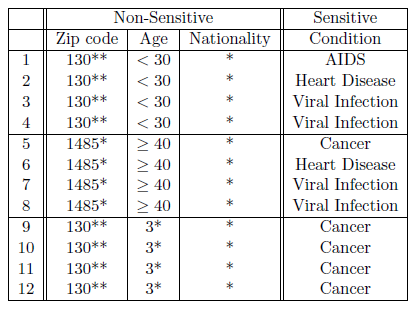 Amazingly the dataset contains all friendship relations between individuals present in the dataset, independent of their privacy settings on facebook. As we've seen an unmodified social graph can be vulnerable to re-identification attacks (see the Kaggle case). A week after the release facebook requested the dataset to be taken down. Deleting data on the internet is hard however, and copies of it are still floating around. Nevertheless, because facebook requested to dataset not to be used, researchers seem to be hesitant to use this dataset. "Privacy issues are preventing a leap forward in study of human behavior by preventing the collection and public dissemination of high-quality datasets. Are academics overly-sensitive to privacy issues?" Researchers don't conduct research on the "leaked" datasets. This hinders scientific progress. Users are less aware of vulnerabilities as researchers can't demonstrate them. Companies benefit as they don't get bad press about leaked data & possible privacy issues. Malicious individuals benefit since vulnerabilities remain unknown, which in turns morivates users to continue sharing information publicly. They are also not limited by moral objections and will use the leaked data if valuable. Currently only the companies and malicious individuals benefit from this behavior. Scientists and users are actually in a bad position by not allowing/doing research on public/leaked datasets. A utopian view would be that researches conduct analysis on the datasets and make advancements in their field. At the same time users can be warned about potential vulnerabilities caused by the leaked data before hackers will abuse them. A mistake to watch out for, at least in my opinion, would be what I call fear based privacy. Yes, you have to remain diligent to make sure the government and companies don't collect too much information. And yes, you should be careful about the information you provide to the public! But one must first carefully consider the arguments for, and against, making information public. A knee-jerk reaction saying that any information you share might potentially be abused by a malicious individual is not a valid argument. It's an argument purely based on fear: "Even if we don't know yet how a hacker could abuse certain information, who knows he or she might find a method in the future, so it's better not to share anything." Now don't get me wrong here. Currently I believe that an absurd amount of information is being collected, especially on the internet, and that this is not a good thing. But a good balance must be found between the benefit of sharing information, and the potential risks for sharing said information. Compare it to driving a car. It involves the risk of possibly getting in an accident. However, the benefit that a car provides outweighs its risks, and instead of completely avoiding cars we attempt to reduce the probability and severity of accidents. 33 Bits of Entropy: Privacy related blog by the researcher Arvind Narayanan who is behind the Kaggle de-anonymization. He also has a twitter acount. Database privacy at Microsoft Research. 28c3 talk by Conrad Lee titled Privacy Invasion or Innovative Science? A Firm Foundation for Private Data Analysis: A good paper covering the applications of differential privacy. Special thanks goes to Jan Van den Bussche of University Hasselt (Belgium) for helping me during my master thesis. Memory Hacking: Anyone can do it! More than four years ago I wrote a small tutorial on memory hacking. Even someone new to programming and computers is able to create simple "memory based hacks". Depending on the program/game you are targeting you can use it to change your score in a game, increase your ammunition, teleport yourself to another coordinate, etc. This was the first thing that really got me interested in computer security and reverse engineering, so I'm reposting the tutorial on this blog. If you ever wondered how aimbots or unlimited ammunition hacks are made, then this post is a good foundation to learning how they work. It will only be a small introduction that can be followed by anyone! The goal is to show it's indeed easy and to motivate you to try it yourself on a few programs ;) In this post we will attempt to freeze the timer of Minesweeper. Internally a computer works only with numbers, so every single thing on your computer is represented by a number. The smallest type of number one can directly access is called a byte. It can store the numbers between (and including) -128 and 127. We can then group 2 bytes togheter and can represent every number between -32768 and 32767. With 4 bytes we get -2147483648 and 2147483647. We can continue this with 8 bytes and so on. It is the programmer that gives meaning to these numbers. For example, we can say that numbers 0 to 25 stand for each letter in the alphabet. In a different situation we can say that 0 to 11 stands for each month in the year. A number can stand for the amunition a player has, the coordinates of a player, the ID of a weapon he is holding, and so on. We can see that the “meaning” of these numbers indeed depends on where and how they are used. Every byte has a so called "address". 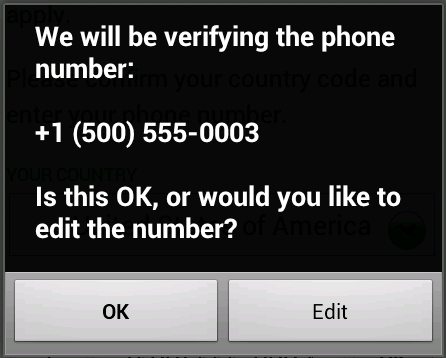 This address is again a number, and we use this number to access the byte. For example, say we have 2 bytes and want to add them together. Assume the first byte is saved at address 2345 and the second one at address 5345. We can then tell the computer to add the bytes at address 2345 and 5345 together (and optionally save this result at another address). Addresses are commonly written in hexadecimal notation. For a more detailed explanation on how numbers are stored and represented on computers you can read “The Art of Assembly“. It’s now our job to find where the number that represents the timer is saved. Once we know it’s location we can simply overwrite it with a new value and thus change the timer in Minesweeper. To find the address we will use the tool “Memory Hacking Software” (MHS). The first thing we need to guess is how the timer is saved. Since the timer already is a number this is trivial (the number of the timer is saved directly without any conversion). We only need to determine the size of the number. Since a byte is not large enough to save the biggest possible value of the timer (999), we will guess the programmer of minesweeper used (at least) 2 bytes to save the timer. Start Minesweeper. Now launch MHS. 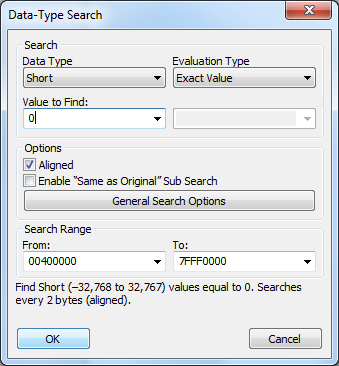 Then do Search -> Data-Type Search. Select Short as Data Type (Short is the same as 2 bytes) and Exact Value as evaluation type. Since we haven’t started the game in minesweeper yet, the timer is currently zero. In "Value to Find" type 0. Now click OK. It will say how many addresses (in the minesweeper process) had the value 0. There will probably be a lot of them! I had 1497378 results, and one of these (probably) is the timer. We know that one of these address is the timer, however there are too many results and practically this list is still useless. What we need to do is shrink the list. And this will be done by doing a “sub search” on our previous results. In this case we can start playing minesweeper so the timer will start. We now know that the timer has increased, so we will search for an “increased value” in our current result list and thus shrink the list. Go to Search -> Sub Search so we can further “filter” our results of the previous search. We know the timer has increased so we select Increased as Search Type. I got 46 results. Still too much. 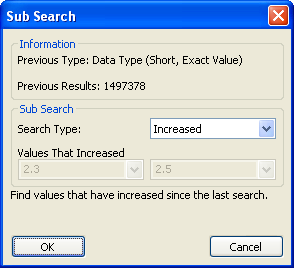 I again do a sub search and again search for an increased number. Now I only get 3 results! Continue this until you only have a few results left. Once you have a small list, it should be easy to spot the timer by observing the Current Value field. This will always be equal to the timer in minesweeper. In my case the timer is saved at address 0100579C (this address can be different for you). 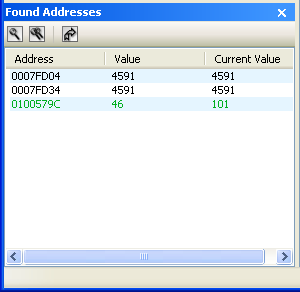 Double click on the address in the “Found Addresses” list. It will be added to the “main address list”. Double click on the address in the main address list. We will now lock the value of the timer to zero. We do this by checking Locked and entering an Exact Value of zero. And there you go, you froze the timer. 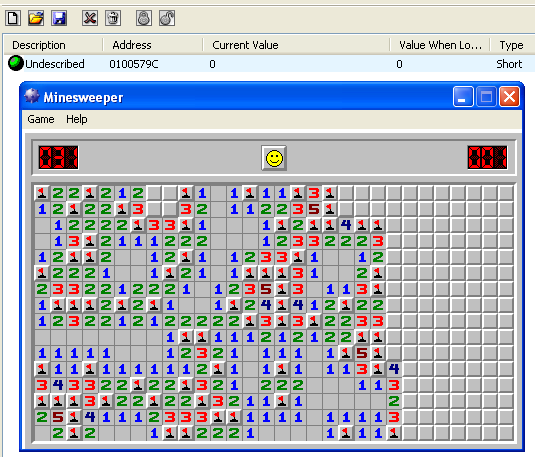 Because of the way minesweeper was made it will actually display a time of 1 instead of 0, but nevertheless it’s frozen. This was small and basic introduction to memory hacking. You can try this method on other programs (eg., on number of bullets left, current health, high score, etc). However you will notice that it doesn’t always work. You won’t be able to easily find the address or the address could change each time you play the game. To solve these problems more advanced techniques must be used. An old article I read 6+ years ago on more advanced tricks was titled Dynamic Memory Allocation and Code Injection: DMA to static address. He still used SoftIce in those tutorial, but that program is now dead. Instead use OllyDbg, IDA Pro, or similar.